An adjective clause describes a noun. 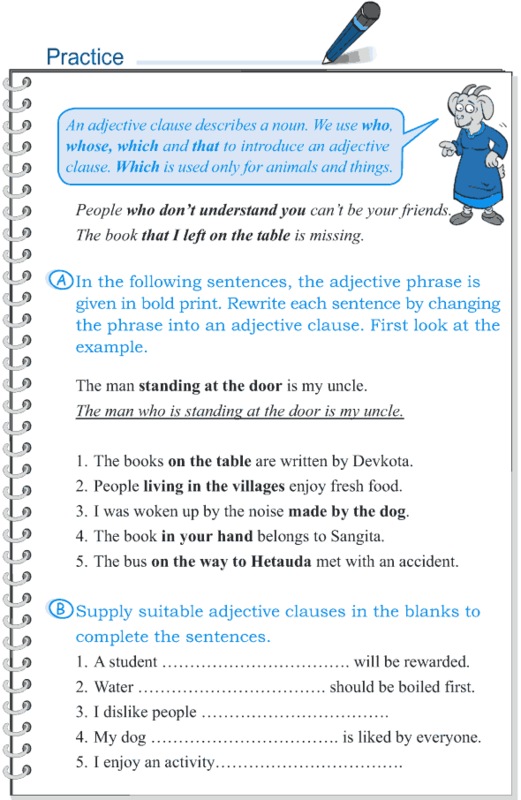 We use who, whose, which and that to introduce an adjective clause. Which is used only for animals and things.